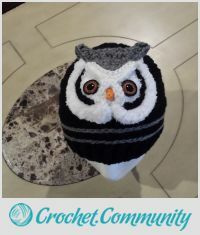 First, let’s talk about your owl hat: Did you design it? And how did you make those eyes? Thank you. I designed the owl. The owl is made as an applique and stitch onto the hat. 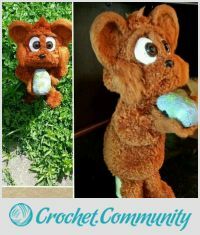 I use crochet thread and floss for the eyes. The most challenging part is the eyes. I usually like to make different things so I don’t think I will probably make another. I am a retired secretary from a public school system after 37 years of service. I love crafts of all kinds. 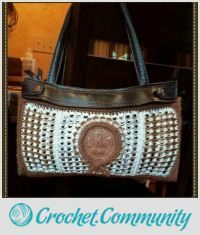 Sewing, hardanger,counted cross stitch, drawing, painting, ceramics, porcelain dolls, tatting, knitting, and of course – crochet. What is your crocheting story? As a tween, I bought a K-tel knitter (which is no longer made) and learned how to use that. I realize now that the process is much like crochet. 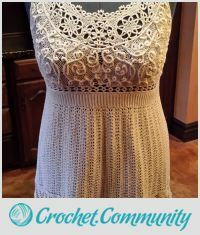 After marriage, I loved the look of crochet, bought a hook and decided to teach myself. My dream projects are looking at pictures and creating the item with yarn or thread. It is so exciting for me to see a skein of yarn become an item. The biggest challenge for me is to complete a project before starting another😄. (STILL working on that challenge). What has been the greatest gift that crocheting has given you? 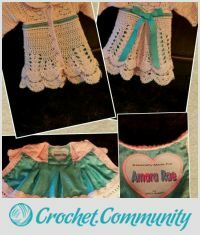 The greatest gift that crochet has given me is the fun of making things for others and seeing their smiles when they receive the crocheted item. And, any words of wisdom for beginners? 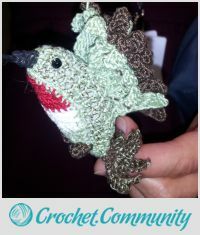 My words of wisdom are…if you want to crochet. . .go for it and keep going…crochet will fill your life with much happiness! I don’t know how I’ve never seen any of your work on here, but oh my goodness, it is all absolutely AMAZING!!! Please, I love your creativity! How may I get the Minecraft Pillow Pattern instructions? Would it be possible to get a copy of your pattern for the peacock afghan. 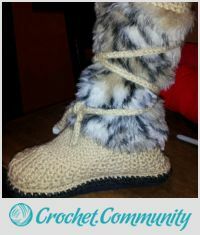 Want to make it for a Christmas gift. Absolutely lovely to meet you! You have made some beautiful creations! I look forward to chatting and connecting with you here on the site!